from the reflections of "I Wonder" to kickin' cuts like "Pain Relief"
songs that my audience is going to love. " and well and fun to listen to when done well. 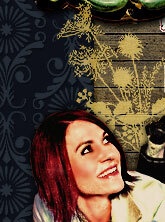 country music, Leyla Fences is a breath of fresh air." 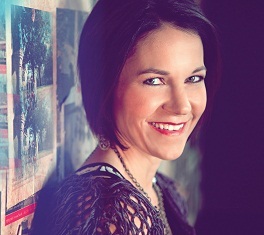 Two short years after the release of her debut CD, Fences makes herself totally at home again with the sounds of traditional country on her second album Itty Bitty Twang Twang. 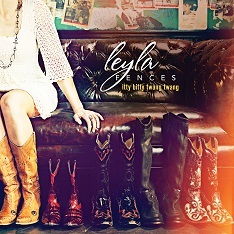 Leyla's follow up to her well-received "Liars, Cheats & Fools" (2010) presents country music fans 14 original tracks of self-penned dancing, drinking and cheating songs with the same compelling songwriting, strong female perspective and powerfully passionate vocal performances that listeners have come to expect from this Dallas native. All 14 tracks on Itty Bitty Twang Twang were written in whole or co-written by Fences and blend her sassy style with a comedic touch while speaking both musically and lyrically about being in and out of love and moving on. Always danceable and never pretentious, the clean sound of these original tunes lets every word and note be heard while tasteful production allows listeners to get the same great connection with the songs that Leyla's live audiences enjoy. Note: No men were actually harmed in the making of this CD. "One More Honky Tonk" - a toe-tapping, shout out, drinking-to-get-over-you- tune that'll make you forget there was any heartache at all! “Pain Relief” - a tongue-in-cheek mix of country and early rock and roll that will make you want more. “Something Right” - Quirky perspective and warm vocal performance. No honey-coated pop-country lyrics here! “Pretty Lies” - a tale of catching a love red-handed with another. A peppy beat, wavering steel guitar and compelling piano and fiddle features. “What I Do” - slowed instrumentals and Fences’ emotional singing style. The closest Leyla might ever come to a tear-jerker! “Too Far Gone” - catchy and danceable with soulful background vocals and fast-paced electric guitar. “Trophy Wife” - Fences drives the say-it-like-it-is lyric home with a forceful and tuneful delivery. The CD was recorded at Audio Dallas in Garland, Texas supported by seasoned professional musicians who have worked with recording artists such as LeAnn Rimes, Jack Ingram, Janie Fricke and Steve Holy. The album was recorded and mixed by Paul Osborn, whose experience includes recording and/or mixing more than 25 Gold and Platinum Records. Mastering was completed by Randy LeRoy of AirShow Mastering, whose credits include Jamey Johnson's double CD "The Guitar Song" on Universal Music Nashville and Darryl Worley's "God & Country" on Stroudavarious Records. The artwork for the CD was completed by Glenn Sweitzer of Fresh Design, known in the music industry as designer for artists such as Tim McGraw, Rascall Flatts, Reba McEntire, Kenny Rogers, Hank Jr., Lady Antebellum and many others. Photography by Jake Harsh of Harsh Media, Nashville celebrity and entertainment photographer who has also photographed the likes of Katy Perry, Peyton Manning and Jo Dee Messina. Hair & Makeup by Amy Lynn Harwig. Music and Lyrics by Leyla Fences. Co-writers on "Get the Truck Outta Here" & "The Next Time" - David Graham and Vaughan Daniel. Produced by Paul Osborn and Leyla Fences. 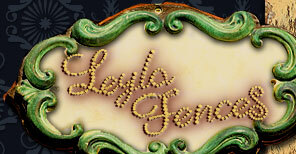 Leyla’s journey thus far has been anything but a straight line. Although she experienced a typical Texas upbringing in the sticks outside of Houston, as a middle-child born under the sign of the bull she was happiest when she was stirring things up so she took off from home early and set out to explore the world’s wider pastures. Her zigzag took her around the world from high-falutin' graduate degrees and culinary studies in the U.S to language studies across the pond and south of the border. With her wanderlust somewhat satisfied, more than a couple of tequila-induced hangovers under her belt and the memories of several Mr. Wrongs and their shenanigans fresh in mind, Leyla decided she'd had more formal and informal schooling than she'd ever need. She hocked most of her know-how (and marbles) in exchange for a shiny Takamine guitar and realized soon after that everything she was looking for could be created with 6 strings, 3 chords and a capo. 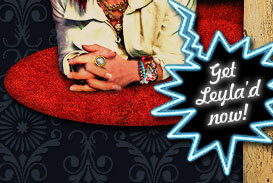 Leyla was last seen in Nashville at a songwriter night down on Broadway. If you have any information on her whereabouts, please let her know!